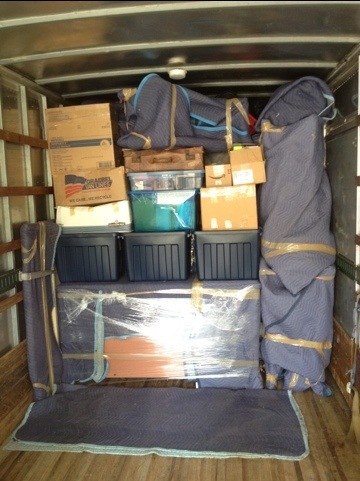 This entry was posted in Moving Trucks, Residential Moves and tagged Base, Level, Tier, truck packing by Bob McGregor. Bookmark the permalink. These guy’s did a similar thing when I moved in Baltimore! Great setting of goods in such a small space.